Children around the world love Mrs. Wishy-Washy and her neurotic cleaning. This special collection features all eight Mrs. Wishy-Washy stories—originally found in both the Story Box and Story Basket series—in one convenient collection. These zany tales mix Mrs. Wishy-Washy with the mischievous Meanies, some mud-loving farm animals, and even the clumsy Mr. Wishy-Washy! 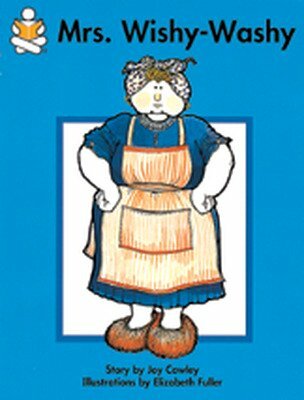 The Mrs. Wishy-Washy Collection is available in a Big Book Set, 6-Pack Set, or Student Book Set.